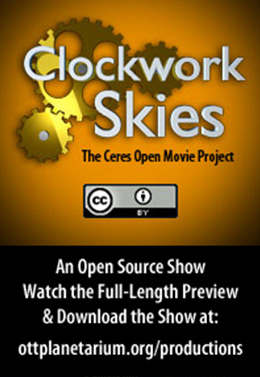 CLOCKWORK SKIES explores the patterns of motion and time in our skies. The show was created by participants of the 2010 Blender Production Workshop. Most of the participants were modeling and animating with Blender for the very first time.